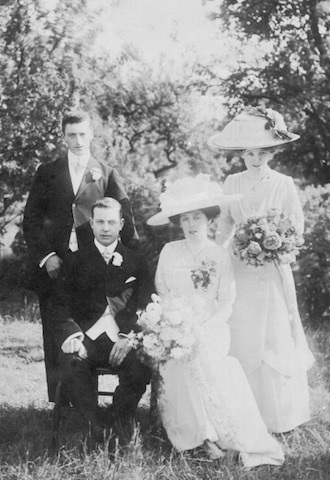 The marriage on 14 June 1911 in The Bury garden of the wedding of Bertha Endersby and Frederick Geoge Giblin of Woodford Green, butler at Newton Hall, for the Hon. Mr. Gerald Gold. 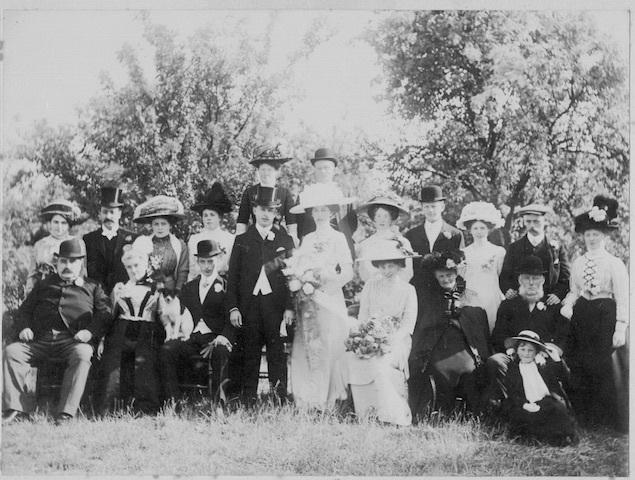 Front row left to right: The groom's parents Mr and Mrs Giblin, Alfred Endersby (the bride's brother who later became a coal merchant in Stansted), Frederick Giblin, Bertha Endersby, Frances Endersby (the bride's sister) and Mr and Mrs Endersby. 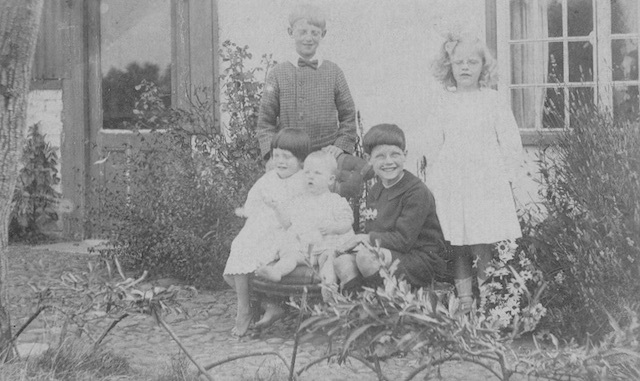 The two standing on the right are Bertha's brother and sister. 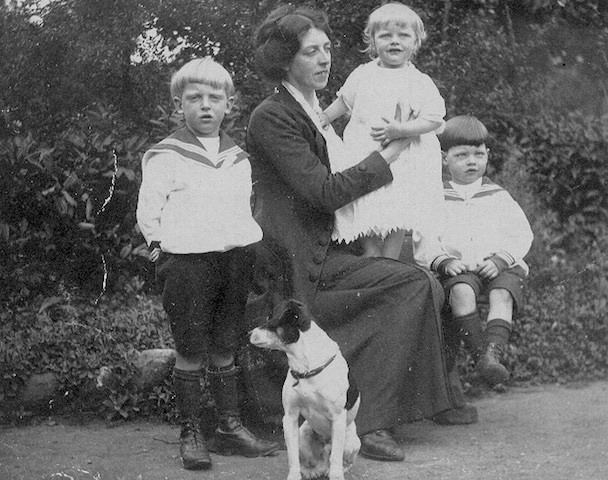 Left: Robert, Betty and Ted with their mother. 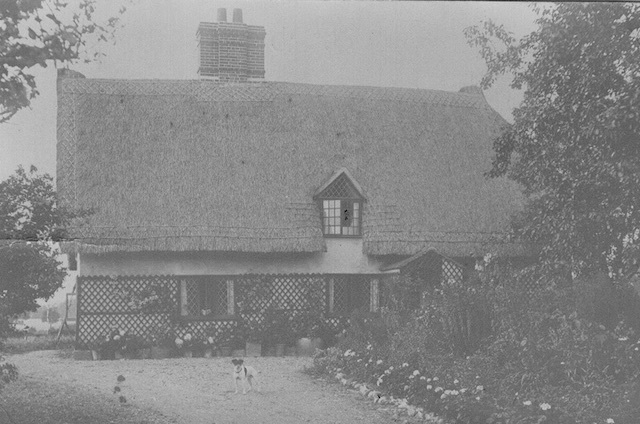 Right: The children of Bertha and Frederick in 1920, outside their home in at Pleasant Cottage. Standing Robert and Betty, Sitting Marjorie, Janet and Ted. On the left hand side of the photograph you can just see the brick and corrugated iron section that was built on to the side off the house from where Bertha ran a shop selling sweets and general goods. Bertha died suddenly in 1928 at the age of 45. The children had to be split up, going to live with different members of their family as their father, a butler, worked away from home. The Bury in the 1920s when the Giblin's lived here. 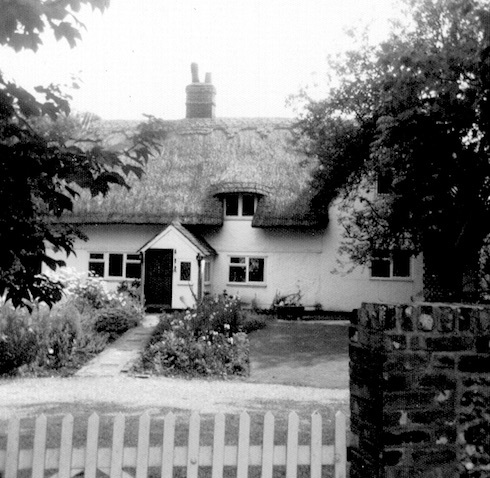 Betsy and Alfred Endersby, lived and ran a market garden at The Bury, they later moved to Little Acre, Church End. It had a large garden in front and a large lawn at the back.